The Corangamite region has a great diversity of soil types that reflect differences in parent material, topography, climate, organic activity and age e.g. degree of weathering. For agricultural purposes, many of these soils have some chemical and physical limitations e.g. acidity which require careful management. Regional soil and landform mapping (at 1:100 000 scale) and soil site descriptions will be provided on this site in the near future. This information will continue to be developed and updated. Information on soil management will also be provided as it becomes available. Soil information on the Statewide VRO website. The Corangamite CMA Knowledge Base website provides an extensive collection of publications and technical reports on all aspects of the catchment. This includes an online repository of soil health information and knowledge: including reports, research papers, maps and descriptions related to current and past soil series mapping, land capability and suitability assessments, agricultural trials, and soil research and investigations. 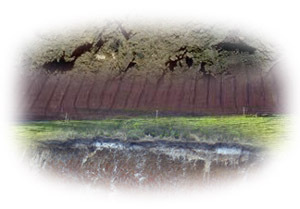 The Corangamite Soil Health Strategy (external link) section of the Corangamite Catchment Management Authority (CCMA) website provides information about the strategy and links to relevant background reports, projects, events etc. The Corangamite Soil Health Strategy aims to guide investment in a range of actions that will protect and enhance natural and built assets in the Corangamite region, from a number of soil-based threats or threatening processes. The strategy identifies specific assets that should be protected or enhanced and the various threats. The asset managers and other stakeholders who have been involved in its development, will potentially be involved in its implementation.